One might wonder why certain unhealthy foods appear irresistible, even when we know that food cravings are not justified by hunger. Food cravings are not about providing ourselves with the healthy foods we need for nourishment and energy production. Ultra-processed foods, that comprise a sizable portion of the standard American diet, are intended to stimulate the appetite and are designed for overconsumption. Refined foods are purposely formulated to be hyper-palatable, meaning that in addition to excessively pleasing our taste buds, they are uniquely fattening and addicting. These food products not only stimulate the appetite, they stimulate the brain’s powerful reward centers, making it difficult to simply overcome a desire to control negative eating patterns. A true compulsive food craving dominates one’s attention, and may have more to do with the brain’s intense desire for dopamine. Research has shown specific ingredients in ultra-processed foods have abuse potential similar to that of addictive drugs, which affect specific neurotransmitter receptors in the brain. High glycemic index processed foods cause the release of neurotransmitters dopamine, serotonin and endorphins, natural opiates we call the “feel good chemicals.” Studies have shown that increased production of neurotransmitters results in a short lived but intense feeling of reward similar to that of other highly addictive substances. Science has shown that continued overconsumption of sweeteners and highly processed foods perpetuates cravings and leads to tolerance, requiring more and more of these foods to create the same mood altering effects. Although we may resolve not to repeat past episodes of binging on junk foods, many of us repeatedly do just that. When food cravings become food addictions, our ability to make healthy choices diminishes. While some people are more predisposed than others to addictive behaviors, in general, food cravings are not about will vs. will power. According to Kay Sheppard, author of Food Addiction: The Body Knows, “Refined food addiction involves the compulsive pursuit of a mood change by engaging repeatedly in episodes of binge eating despite adverse consequences.” We may find our resistance to these foods is lower when we are dieting and severely limiting calories or restricting entire food groups. 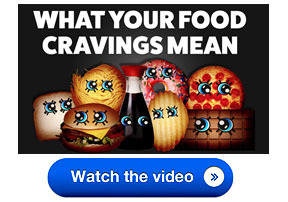 Or, we may find ourselves binging on ultra-processed foods when we are bored, tired, stressed, lonely or sad. Healthy eaters are able to eat nourishing foods with enjoyment and know they are supporting their health by making good choices. 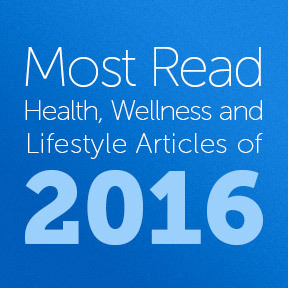 This doesn’t mean they don’t enjoy a slice of birthday cake or an occasional ice cream cone. It means they are able to eat controlled portions mindfully, stopping after a small bag of chips or a few cookies, as opposed to devouring the entire package. The question remains, how do you break the addictive health-threatening behavior and become one of those healthy restrained eaters? Begin by following these tips and be patient. Although conquering food cravings is difficult and cravings will not disappear overnight, they can be overcome. The first crucial step is to avoid addictive foods. Reestablishing a healthy eating plan will help to diminish cravings and eventually break the addiction cycle. When your body craves certain foods, it may be seeking out the nutrients lacking in the diet. 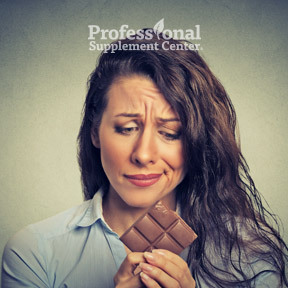 If you are craving chocolate or sweets, you may be low in magnesium, chromium or phosphorus. If you are seeking out fatty foods, you may be deficient in calcium. If salty foods are your snack of choice, you may be low in chloride. To conquer food cravings and improve nutrition, replace refined food products with healthier whole nutrient dense foods. Instead of eating potato chips, for example, eat a baked potato, which will provide fiber, resistant starch and nutrients, such as antioxidants, vitamins B and C, potassium and magnesium that support good health, increase satiety and help reduce cravings. Beware of trigger foods. Eating sweet and salty foods at any time of day, especially between meals, can increase the desire for more of these foods. Try eating protein and fiber at every meal and snack to increase satiety and moderate the blood sugar response. Drink more water. Many of us not only confuse hunger with thirst, we simply get used to feeling dehydrated. As we age, the thirst sensation decreases and as the body seeks out hydration, we tend to eat instead of satisfying thirst. Water provides essential sustenance and sensory reward. Be sure to get your share to meet your needs and reduce excess calorie consumption. Make a concerted effort to get sufficient sleep. Studies show that insufficient sleep reduces levels of the hormone leptin, which signals satiety, and increases levels of ghrelin, which triggers appetite. Additionally, when you are sleep deprived, your levels of the stress hormone cortisol rise, negatively affecting not only appetite but overall healthy function. When a craving hits, seek out distractions. While easier said than done, distractions can work, as cravings are simply that. Cravings don’t last long term and generally dissipate after ten or fifteen minutes. Find something else to do until the craving passes and you’ve conquered it. Sweet Defense™ by Enzymatic Therapy – This multi-glandular, vitamin and mineral complex helps to reduce sugar cravings and supplies necessary nutrients for blood glucose, carbohydrate and energy metabolism. Ingredients include chromium, shown to help maintain fasting glucose and triglyceride levels already within the normal range. Gluten, dairy and soy free formulation. CraveArrest – This product is formulated balance the production of dopamine and serotonin to aid appetite control and reduce cravings. The adaptogen rhodiola rosea is included to aid the stress response and cortisol production. Gluten, soy and dairy free, Non-GMO vegetarian formulation. SlimStyles PGX by Natural Factors – This clinically proven formula provides a blend of highly purified soluble fibers to help reduce appetite, curb food cravings and promote glucose balance. Dairy, wheat and yeast free formulation. 15% OFF! Only Trace Minerals by Life Extension – This mineral booster provides nutrients that may be lacking in the diet including chromium, which plays an important role in maintaining healthy blood glucose levels and vanadyl, which promotes healthy glucose metabolism already within the normal range. 15% OFF!